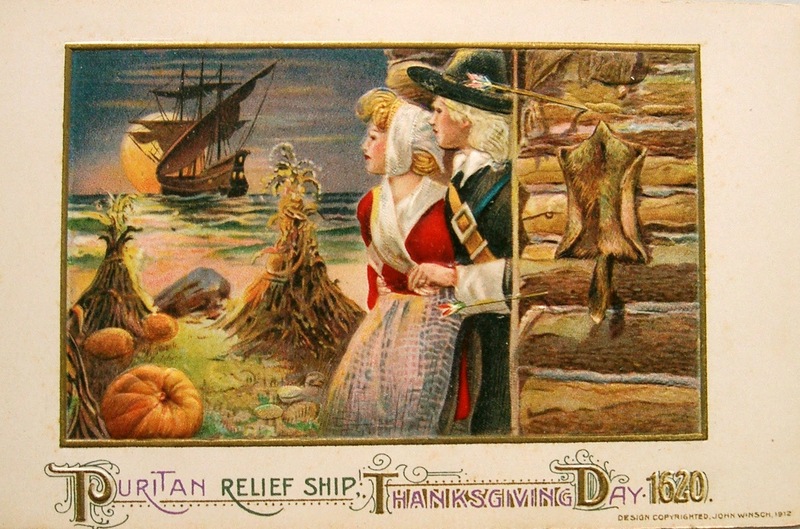 Just wishing you all the best, Thanksgiving...filled with family, friends, food and fellowship. 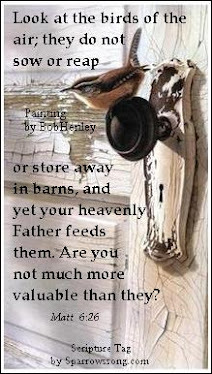 If you have no family close...like we d0...volunteer to help others or host others...as we do! 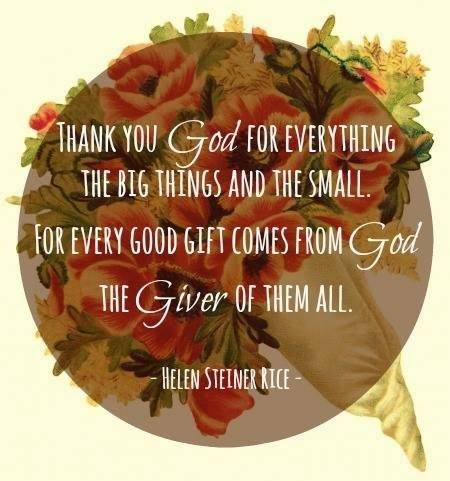 We have so much to be thankful! The glass is half full...not half empty! 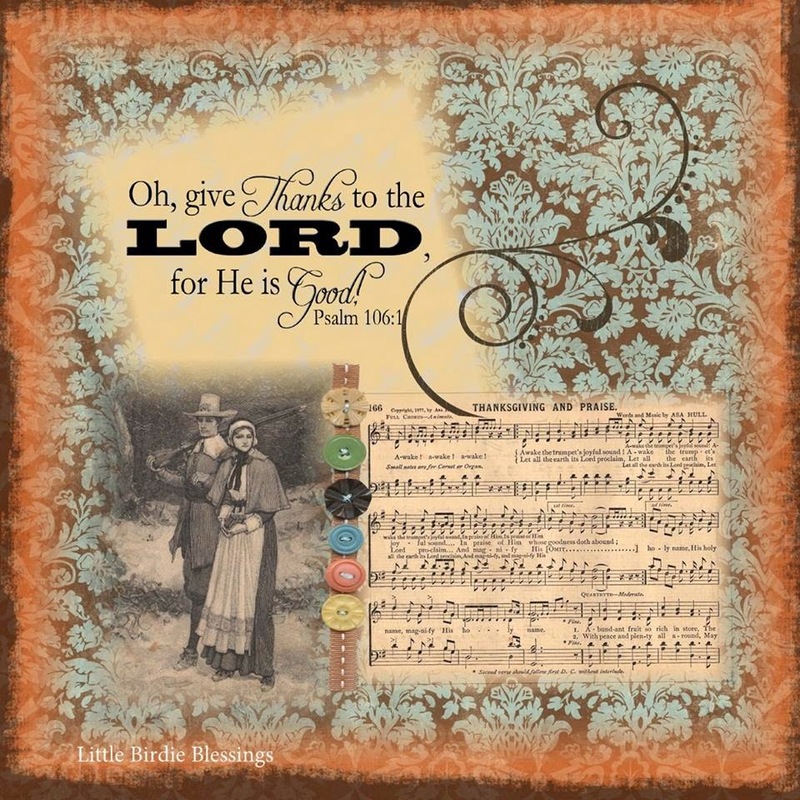 These last weeks have again reminded me of the time we have together as a gift from God. My husband has been battling with difficulties caused by a change in a medication that brought on Atrial Fibrillation for the past month, that we finally seem to have gotten regulated. With Parkinson's Disease, Atrial Fibrillation and Hypothyroidism, all the medications affect one another. When one changes it throws everything off. So this month has been very difficult. But I am so thankful he is doing better and is more stable. 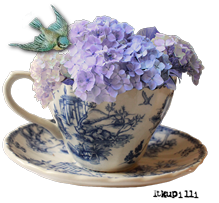 My teacup today is one I chose because I don't think I've shown a 3 footed teacup for a long time! 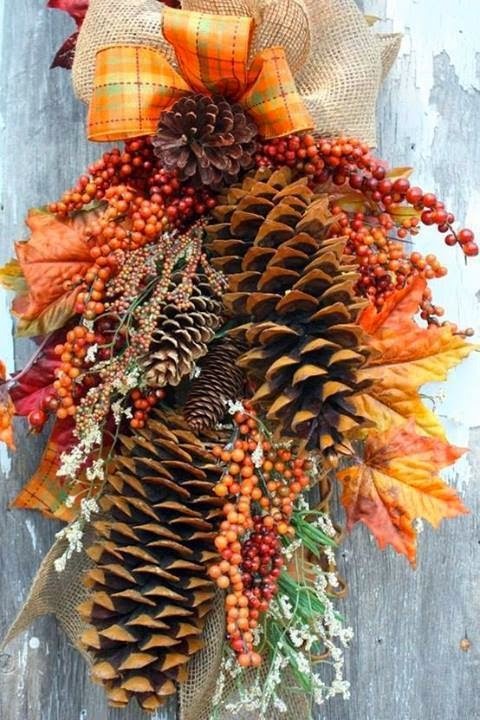 And the chocolate browns and gold were sort of seasonal anyway. 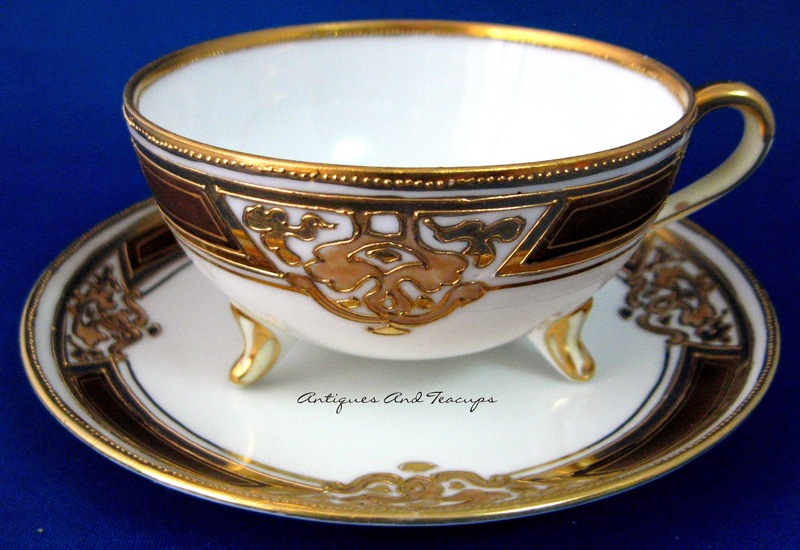 This is a Nippon period Noritake, Japan 3 footed teacup that I just love! 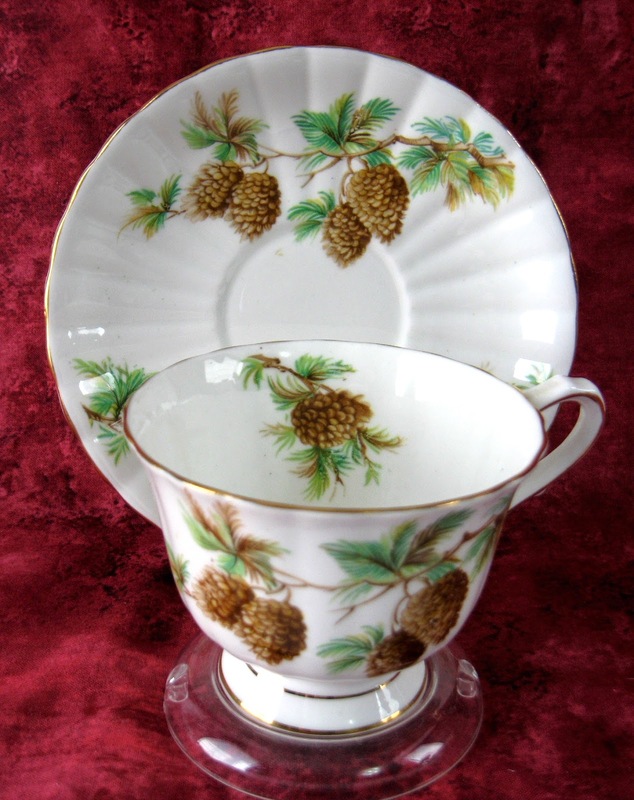 Footed teacups are so fun...elegant and somehow whimsical! 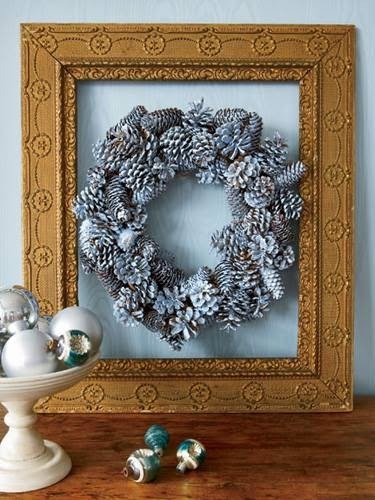 The design is a variegated cocoa brown with heavy hand applied gold trim and beading that is called moriage...beautiful, isn't it? 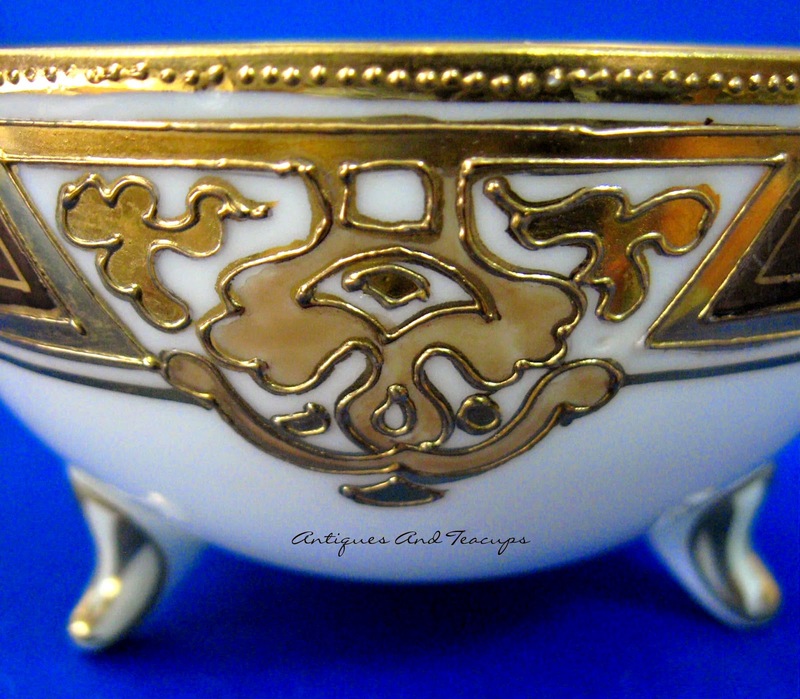 The teacup is the wide type that is such a favorite of the Japanese potters, and those cute little feet or legs! The porcelain is very light and thin. 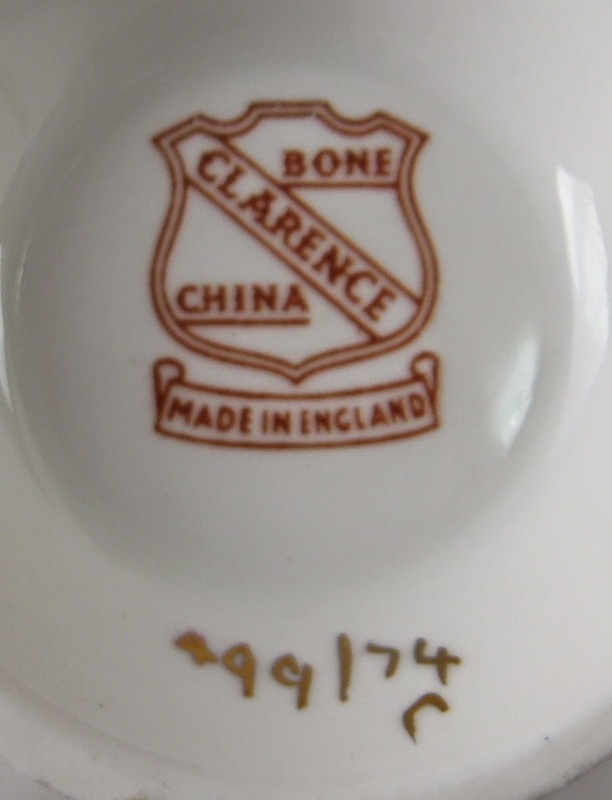 You notice that the teacup is even marked Nippon, which actually means Japan, but was only used with Japanese china between 1906-1912. 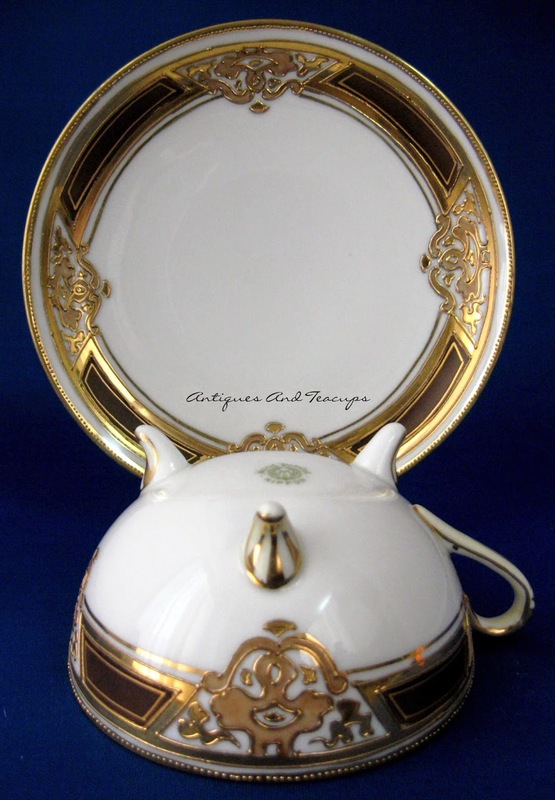 I told you it is Noritake, right? 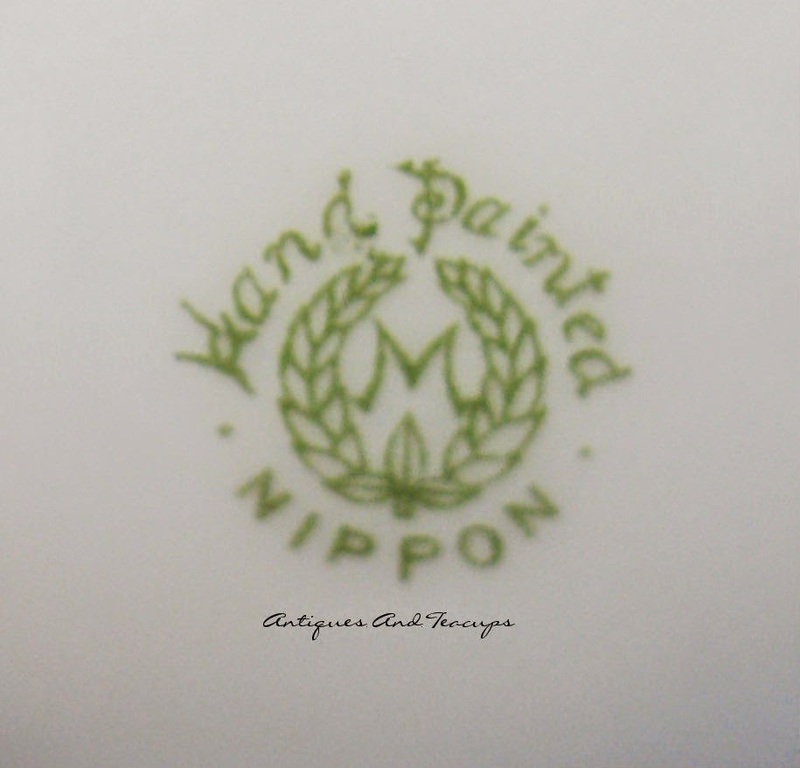 But the mark has an M which stands for the parent company, Morimura, that became Noritake later. Confusing, I know! 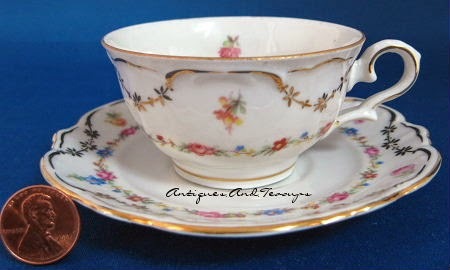 But such a pretty teacup! So that was my choice today! 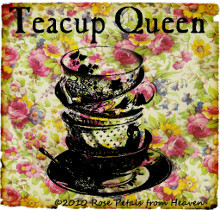 So....I ask you...all teacups are created equal...right????? NOT SO! 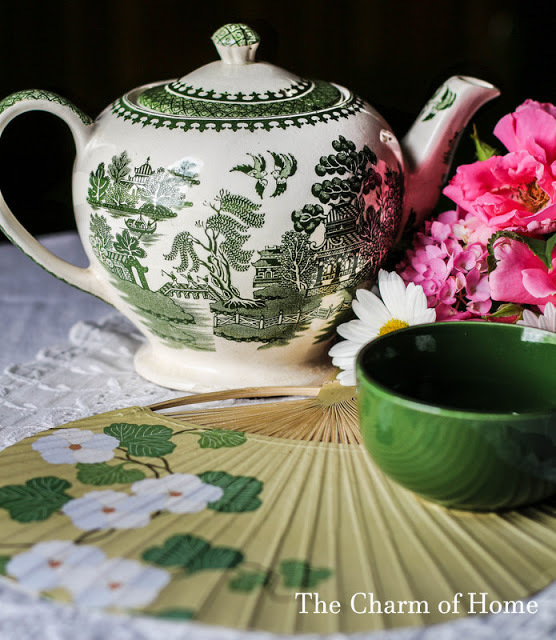 I have run into confusion from customers and bloggers about teacup sizes, so I thought I'd give a quick teacup size comparison for you from some of my Shelley China teacups. 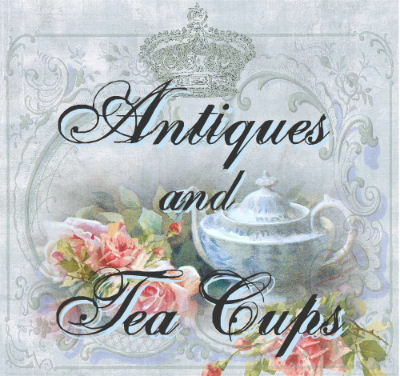 Look at the teacups in the photo above...all different...and representing a different size. 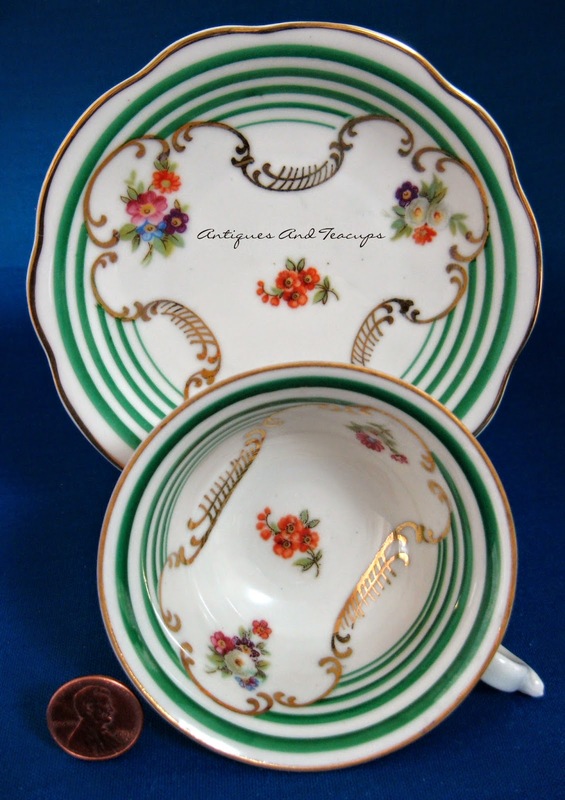 Front row: on the left is a demi or demitasse teacup, and to the right of that a miniature. Basically the sizes go from 12 ounces to 2 ounces...quite a difference! And there hordes of collectors for each of the sizes. 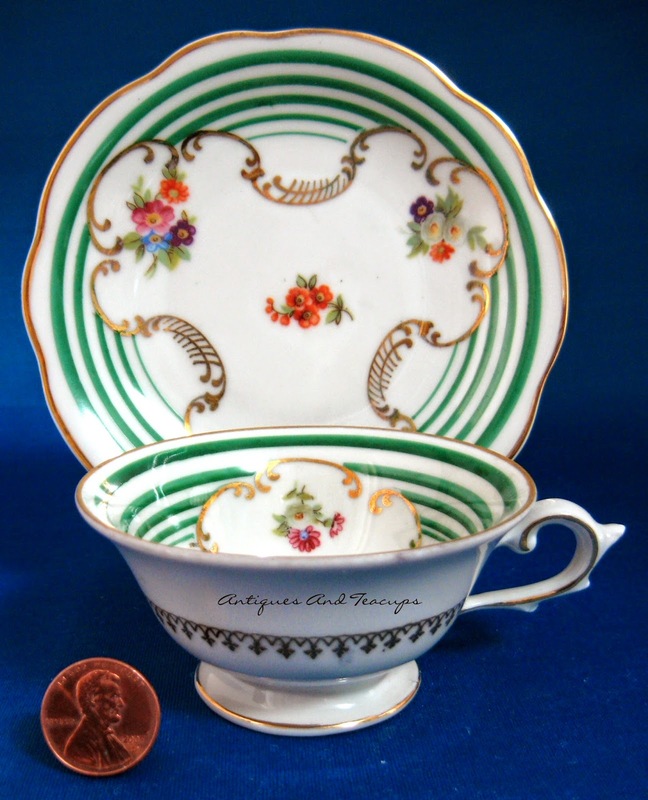 Which are the most fought over and command the highest price...in general, outside of certain specifically difficult patterns in each size, the most expensive is the miniature teacup...if it's a Shelley at least. I have seen them go for almost $1,000! Amazing! So there you go! As Goldilocks says....sort of...this size may be too big, this size may be too small...but there's sure to be a teacup that's just the right size! And to put IN that teacup, I just got my tin of Christmas Tea from Murchies Tea in Canada. Murchies is the tea shop we always visit in Victoria, BC Canada which is our closest big city. But knowing we wouldn't get over ther before Christmas I mail ordered the tea...and I LOVE it!Black tea, orange peel, cinnamon, cloves and vanilla. I thought it was orange and vanilla prevalent with milder spices than Harney & Sons Christmas tea. It's now my favorite! 1. Preheat oven to 350°. Butter a 9-in. square pan and line the bottom with parchment paper. 2. In a small saucepan over medium heat, melt butter. Whisk in brown sugar until blended. Remove from heat and whisk in rum. Pour mixture into prepared pan, evenly covering the bottom. 3. 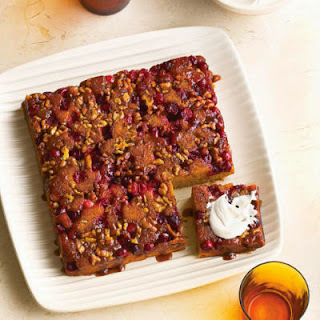 In a small bowl, combine cranberries and walnuts; arrange evenly over brown sugar mixture. 4. 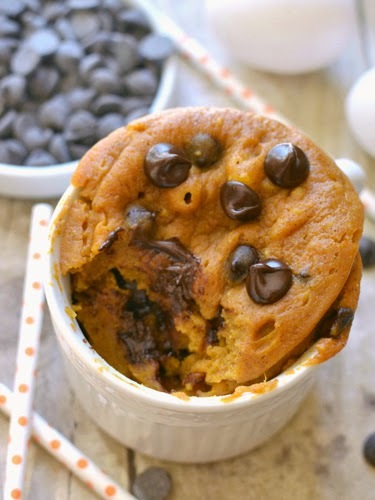 In a large bowl with a mixer on medium speed, beat eggs, pumpkin, oil, and granulated sugar until smooth. In another bowl, stir together flour, baking powder, cinnamon, and salt. Stir flour mixture into pumpkin mixture. Spread batter evenly over cranberries and walnuts. 5. Bake until a skewer inserted in the center of cake comes out clean, 35 to 45 minutes. Transfer to a wire rack and let cool 10 minutes in pan. Run a thin-bladed knife between cake and sides of pan, then invert cake onto a serving platter. Remove pan and parchment, and let cool at least 20 minutes. 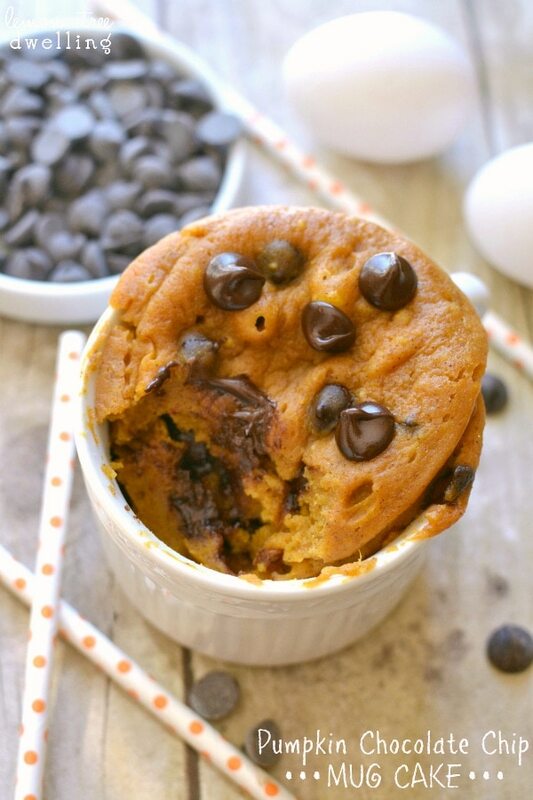 Serve slightly warm or cool, with whipped cream. Doesn't that sound good? I am looking forward to it! 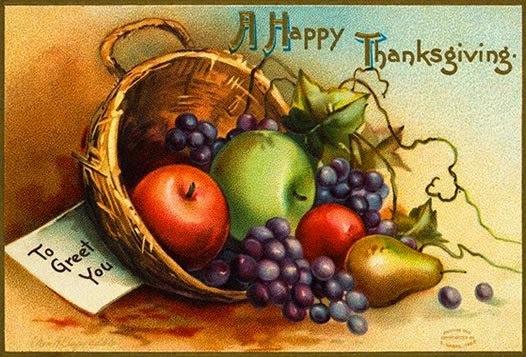 I hope you all have a wonderful Thanksgiving, and enjoy family, food, friends and blessings overflowing! 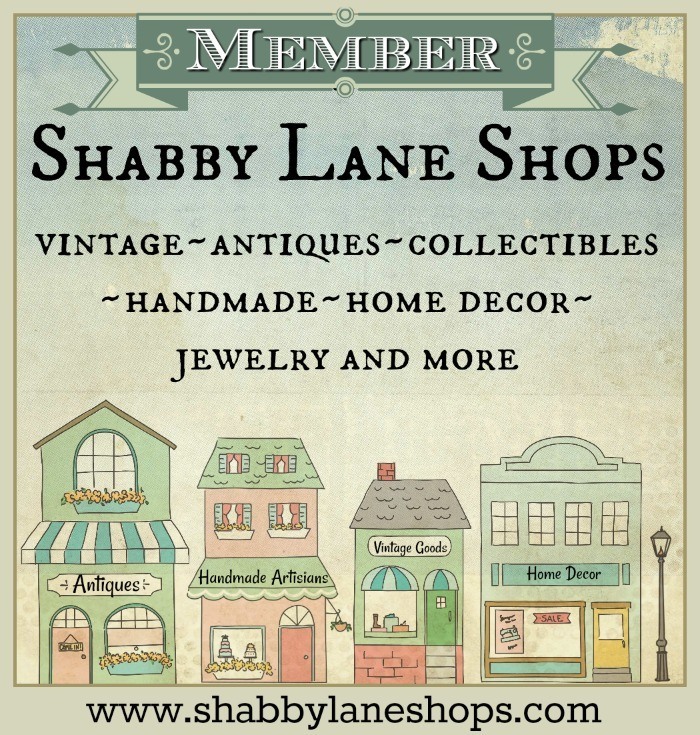 Here is a list of some of the blog parties I am joining...hope you can visit and enjoy their creativity! 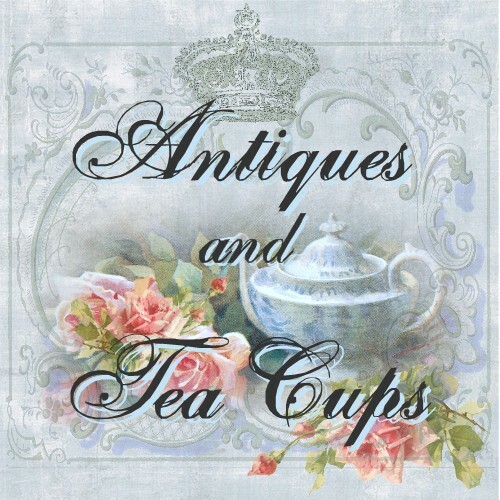 And here is the Linky for your tea related posts...remember that it is SSLLOOOOWWW so be patient! Thanks for joiing me! 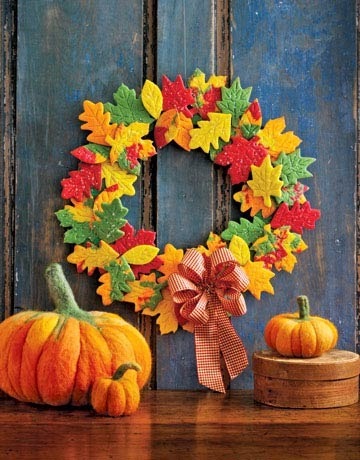 Hello on a crisp, November day! 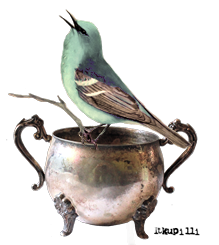 Today started out at 25 and warmed to a scorching 44...them warmest we have been for several days, but the birdbath is still frozrn solid and the finches were ice skating today trying to find water to drink...BBbrrrrrr! Cold for here, but colder still to the east of us! 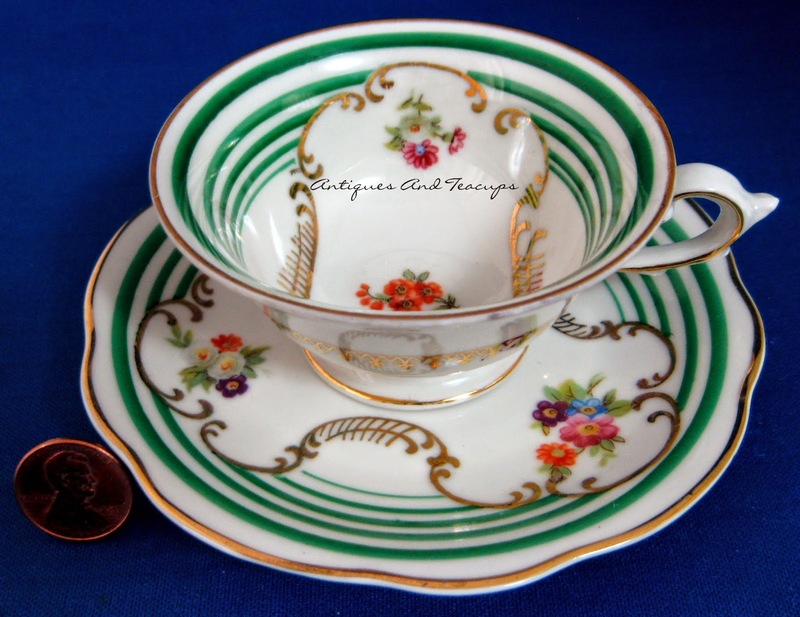 Welcome to Tuesday Cuppa Tea...with Veteran's Day just passed, and another war related anniversary...that I will share later in the post... just a few days ago, I have chosen to share some teacups and saucers from the immediate post World War II period in Germany called the Partition. After the war ended and plans were put into place to help Germany rebuild, the country was divided under the leadership of the Allies. 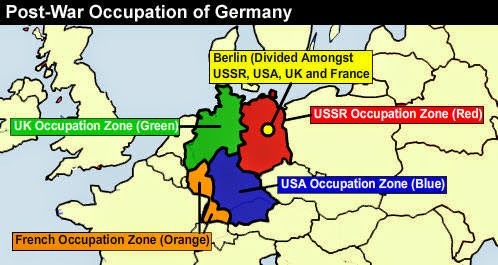 The map below, from Google shows the zones...the Allied Occupation or Partition lasted from 1945-1952. 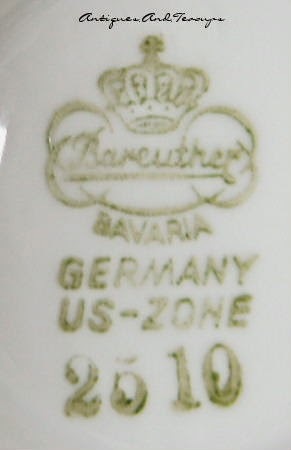 In the US Zone, which included Bavaria where many famous German porcelain potteries had been located, one of the first thing focused on was reopening the potteries to provide jobs and begin again bringing income into the country. And this is where my teacups for this week come from. The mark clearly has U.S. 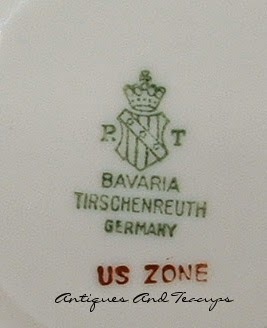 Zone printed on the mark, dating it to 1945-1952. I LOVE the green stripes and gold overlay! 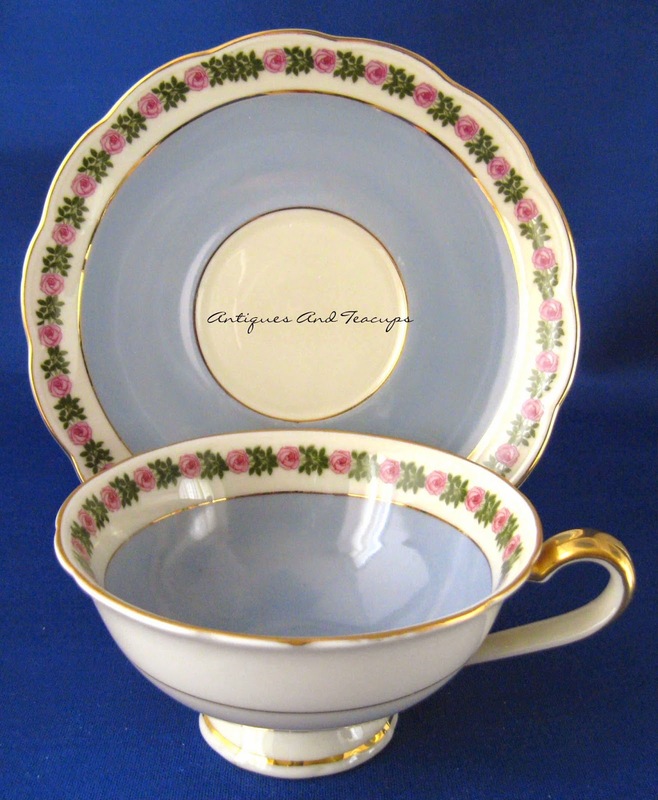 The teacup above is another from the US Zone, another demitasse cup and saucer which were very popular in Europe for elegant after dinner tea or coffee, was made by Bayreuther, another Bavarian pottery. 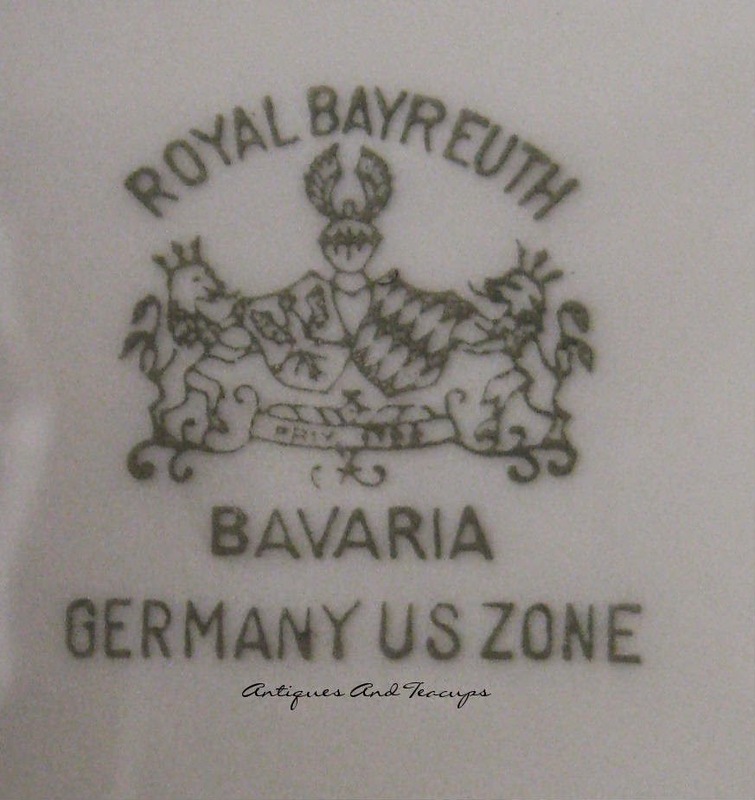 Bayreuth is actually a town in Bavaria where many German potteries were located, so the name is taken from the town. 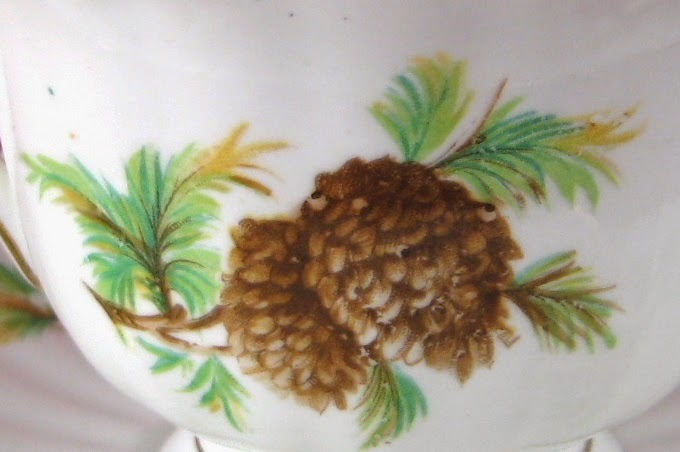 Not much more is know about this small pottery, or what it's commercial fate was after the Occupation. 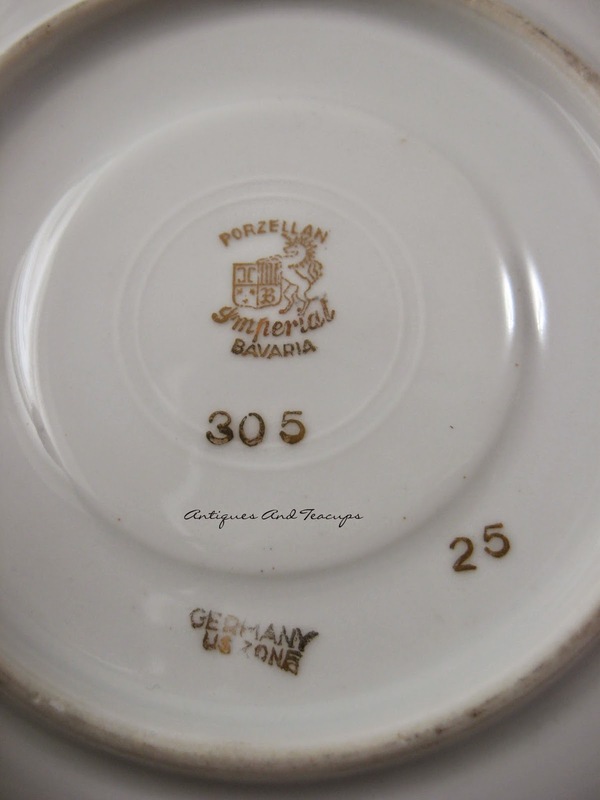 This cup and saucer, also from the Occupation Zone is marked for Porzellan Imperial, Bavaria. 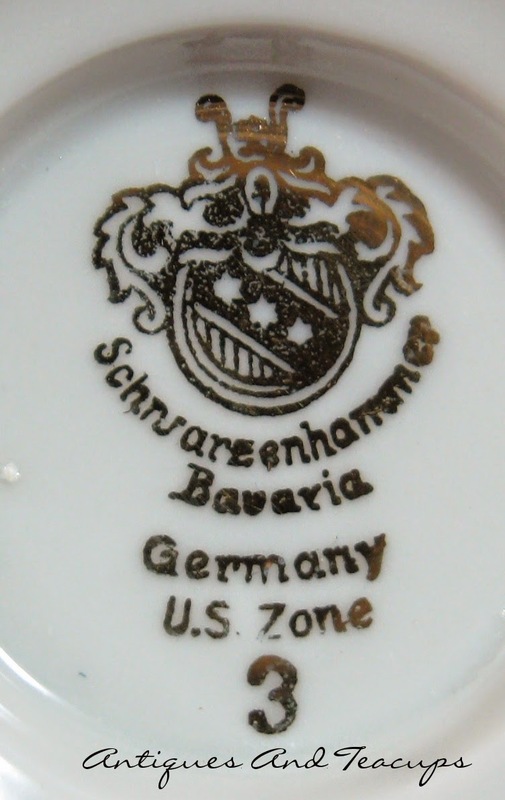 On further research I found that this was a trade mark that the aforementioned Schwarzenhammer pottery used at a different pottery, so I assume that it closed in 1986 as well. you can see why I copied it....which after restoring operations under the Occupation after the war with 60 of their pre war 400 employees, by 2008 had become one of the most prestigious manufacturers of hotel china in Europe...truly a Phoenix like success story. This is my last example...another success story. Tirschenreuth began in Bavaria...in the Bayreuth region also, in 1838. It was acquired by Hunschenreuth Selb in 1926. 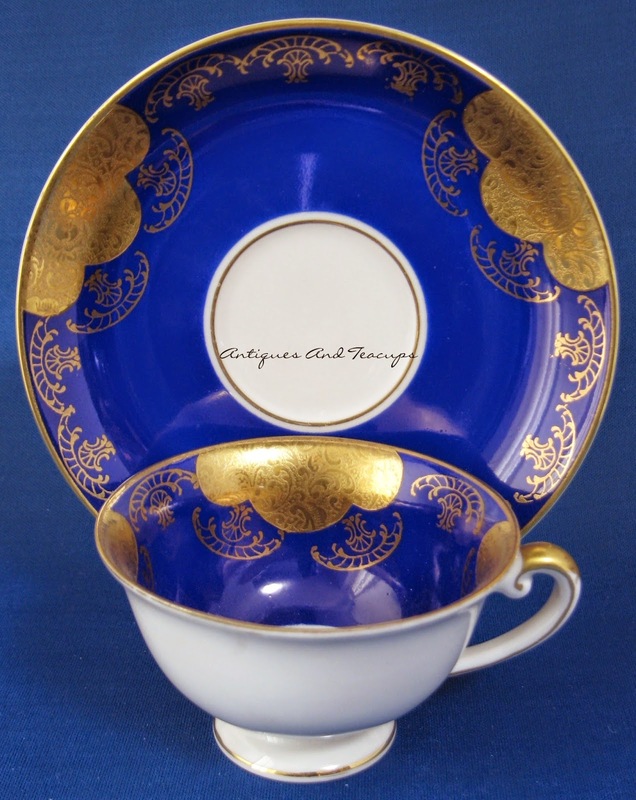 The Occupation restored several potteries under the Selb leadership, and Tirschenreuth is the pottery this gorgeous teacup is from. LOVE all the gold! Tirschenreuth was forced to close due to financial problems in 1994. 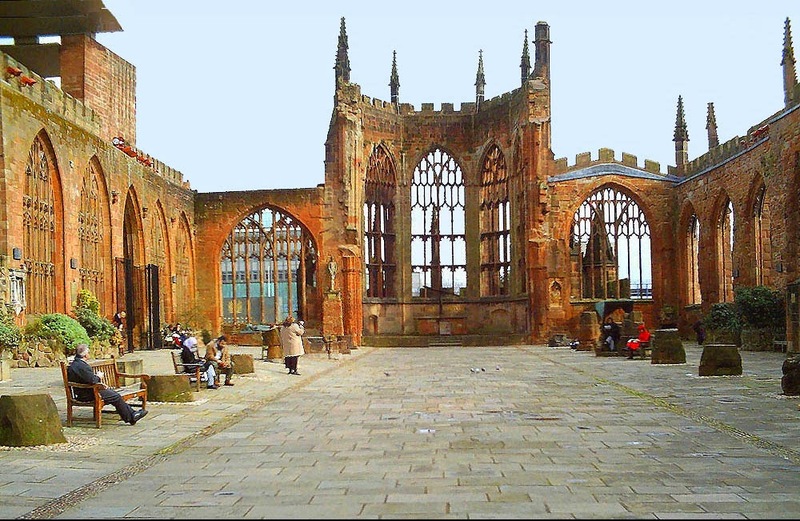 Therewere many more Occupation potteries established as well, but these are the ones I had examples for. 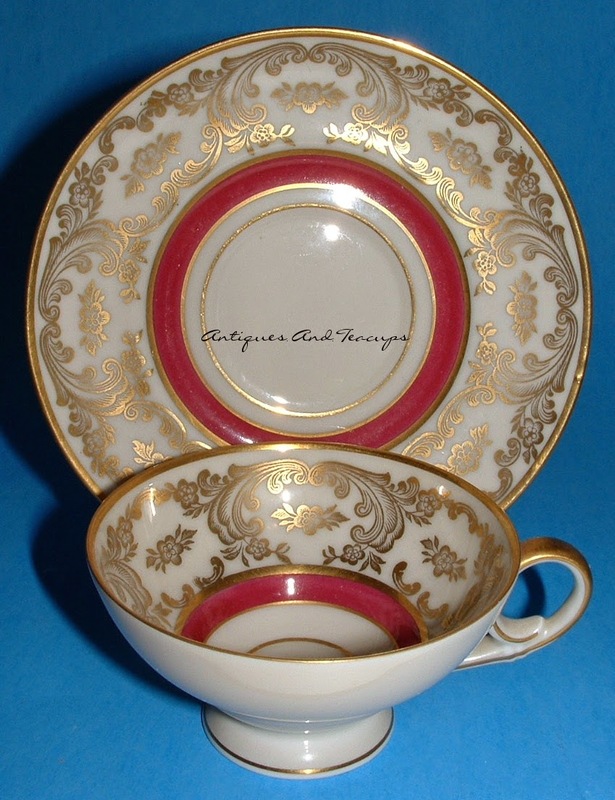 The first 2 teacups are available at Antiques And Teacups, and the others are from my archives. All photos are mine. 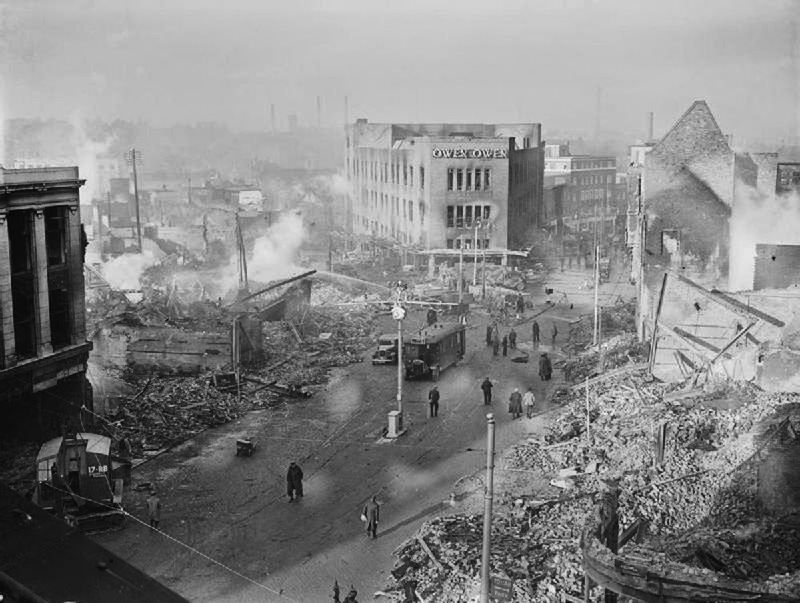 A horrible day during World War II for the family of my husband, living in Birmingham, England 20 miles away. Along with his younger sister, he was not evacuated to Wales for safety with his 2 older sisters. His oldest brother was serving in the war in the Coldstream Guards of the Queen's Brigade of Guards, where my husband was to serve his army service later in peace time. 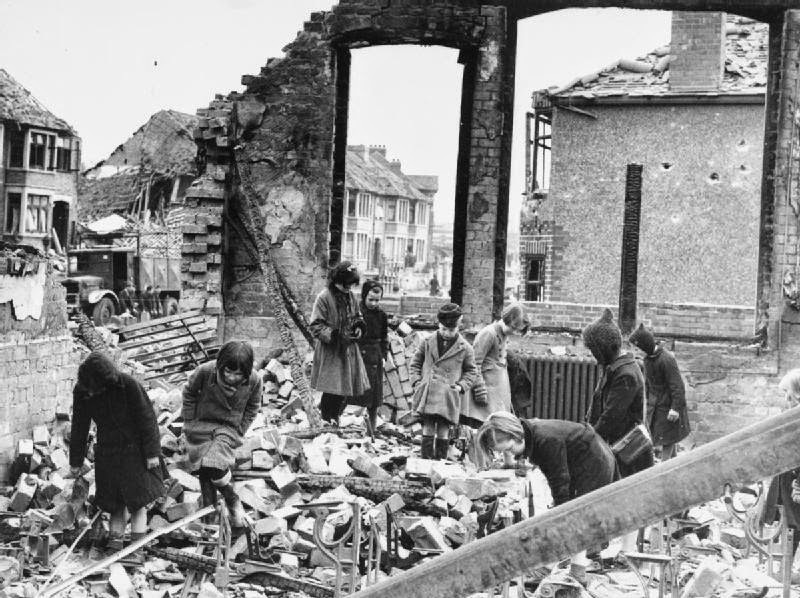 The bombing was remembered as horrific and John often wonders how his parents coped with the terrors of war and just trying to feed the family between times spent in the bomb shelter at the end of the garden. 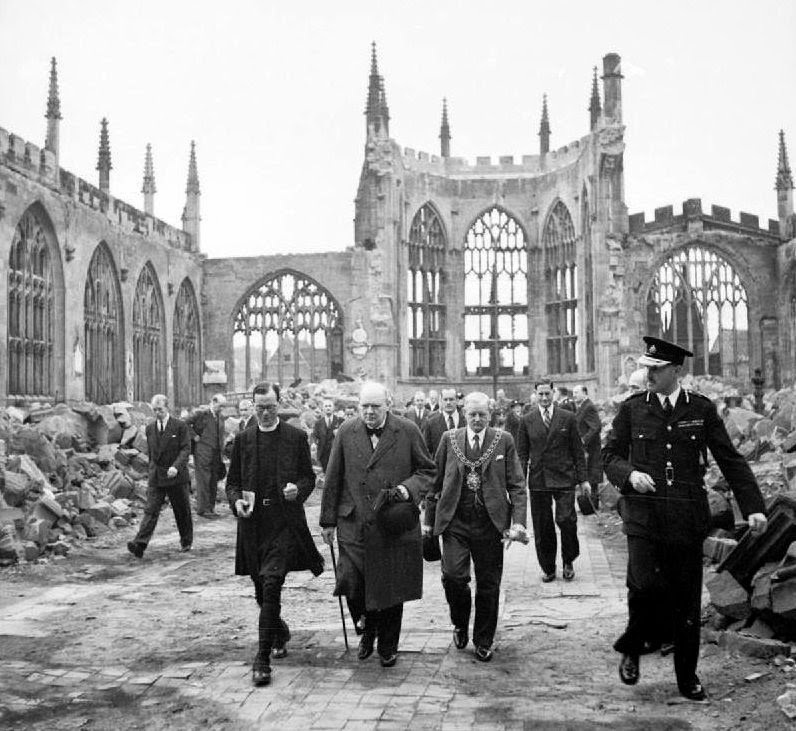 Coventry was a strategic site for the bombers because of it's heavy industrial plants and rail interchanges. 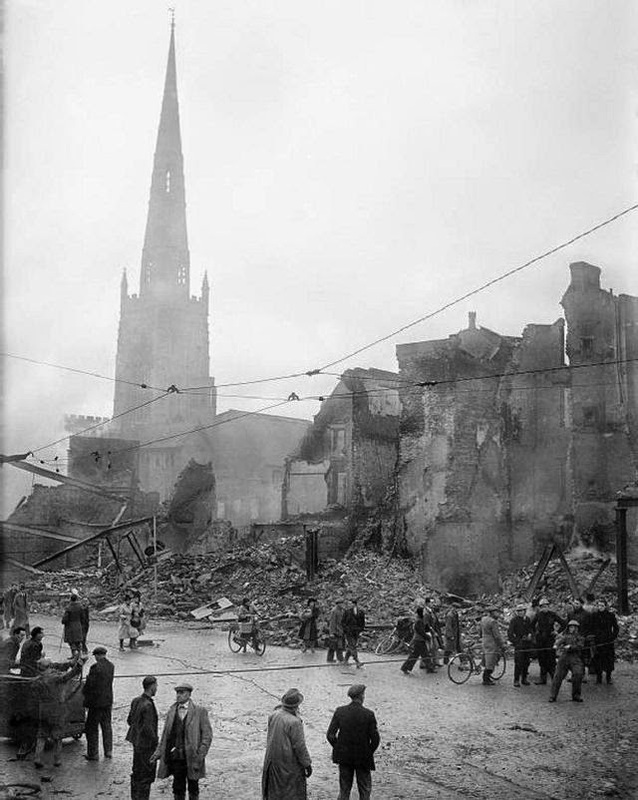 Over 1200 people were killed and most of the city was destroyed. John's father and brother who was on a short leave had walked to the bridge over the railroad bridge close to their home and watched the planes dropping their payloads and the subsequent explosions and fireballs. 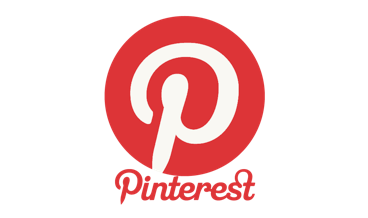 and the Linky for you to link your tea related posts....Remember it is SSLLLOOOOOOW, so be patient! I promise something cheerier next week! 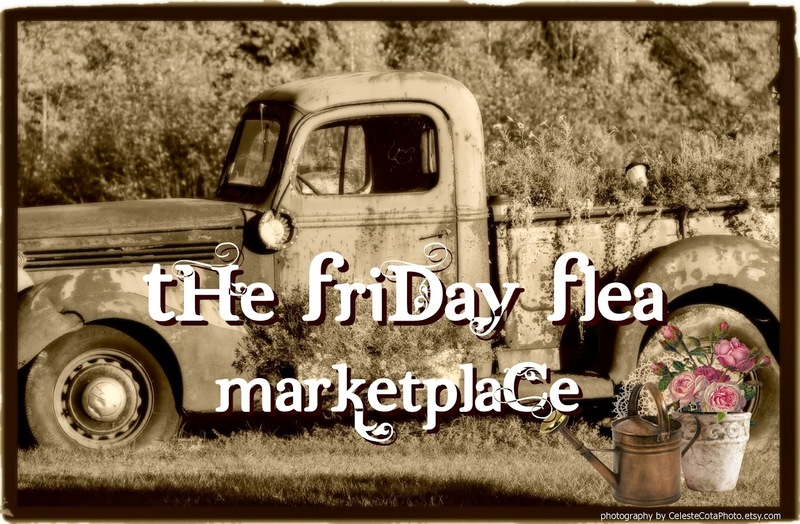 I appreciate your comments and love to visit your wonderful blogs! Have a wonderful week!